Successful holiday selling is about more than scoring high profits during November and December and making up for the slow seasons. 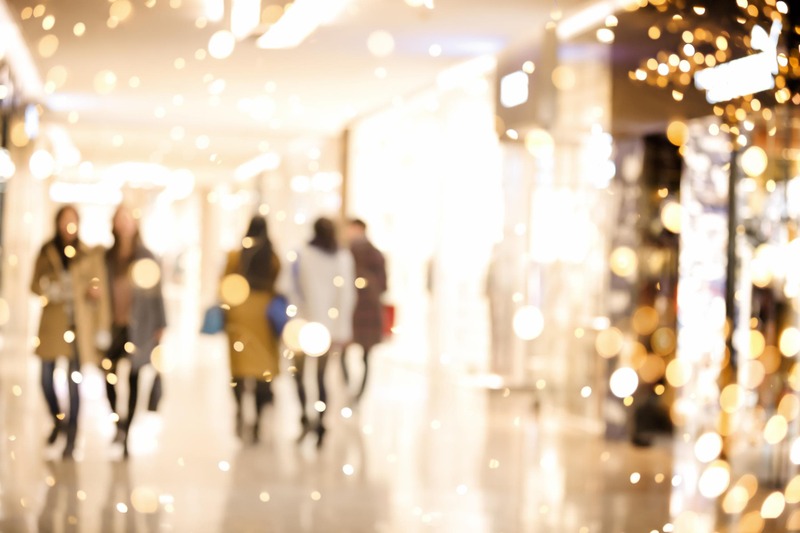 After the presents are opened and holiday stress subsides, a holistic analysis of your year-over-year growth can be a better indicator of a retailer’s impact over the holidays. This sort of prolonged growth is often a direct result of exceptional customer service. Businesses that cultivate a positive buyer experience, from initial social media interaction to predictable delivery, win loyalty and word-of-mouth marketing. For online merchants, providing good customer service involves matching expectations long established by brick-and-mortar retailers. While convenience is a clear selling point for online shopping, sellers must compensate for the positive parts of an in-store experience, including personal attention, personalized consulting and immediate answers. In fact, 64% of shoppers say in-store experience has a greater influence on their purchasing decision than online research. This means for online sellers, there is little room for poor service. As you prepare for the busiest period of the year, here are a few tips to help your online business build upon the best parts of an in-store experience, while still competing with the low prices of larger online brands. Not all online shoppers are alike. And, when it comes to customer service, this could not be more true. While each buyer expects exceptional service, they may have their own preference in how they get this help. Consider this: One in three customers prefer to handle customer service over the phone, and 39% believe it is the most effective channel for customer service — yet, nearly 50% of customers find it the most frustrating channel. What can you possibly take from this? Easy: don’t prioritize one customer service channel over another. For your phone service, make it easy for customers to find your number by placing it on the header and footer of every page. To avoid long hold times, consider bringing on extra customer service help for the holiday season, but also make sure these new agents are well-trained and knowledgeable enough to answer any question. Phone service app Grasshopper will help direct calls to the correct service workers at the correct time, preventing you from having to staff a 24/7 call center. For those customers frustrated with hold times and in search of quick answers, include a live chat window at the bottom corner of your store. Try Olark Chat to give your customers an easy way to talk to a brand representative. Finally, set a precedent of replying to every customer service request on Facebook and keeping track of people mentioning your brand on Twitter through TweetDeck. Today, it is impossible for online retailers to ignore the shipping expectations set by large brands on online marketplaces such as Amazon. Although it may not be possible for your brand to offer free shipping year-round because of tight margins, consider offering the incentive for at least a portion of the holiday season. Studies show 88% of shoppers will choose merchants who offer free shipping over those who don’t. As the days dwindle before Christmas, be an advocate for your customer and remind them of Stamp and Ship Day — the last day to order gifts with standard shipping and still receive them on time. Ultimately, it is always best to be as transparent as possible about shipping costs, delivery speeds and return policies. Maintaining enough inventory without over-ordering is part of business as usual for any retailer. And, during the heavy order volume of the holiday season, omnichannel selling through marketplaces and pop-up shops can make keeping track of inventory numbers especially difficult. Don’t lose one of the 79% of holiday shoppers who will switch brands if an item is out of stock. Use a cloud-based centralized inventory system to cover all of your selling channels. By using an inventory system such as Stitch Labs, you’ll be able to centralize your data and run a leaner retail operation — all without causing a customer service headache. Delight your customers with packaging just as beautiful as the presents they will wrap and place under the tree. If there is one time during the calendar year to put a little extra spend behind the presentation of your products, the holiday season is it. While brick-and-mortars have the luxury of decorating their store with holiday-specific merchandising, online retailers must go beyond the traditional cardboard box to make their brand stand out. Even the smallest handmade touch will personalize the shopping experience and encourage the buyer to visit again after the end of the year. As omnichannel becomes the shopping norm, the line between customer expectations of brick-and-mortars and online stores will continue to blur. This holiday season, impress your customers with a consistently superior experience from the time they live chat a customer service agent about a potential purchase until the moment they open their package. Retailers wanting long-term results from their holiday selling should look at all of their services through the big-picture lens of overall customer experience. By doing so, you’ll earn new customers this holiday season and turn them into loyal repeat purchasers by 2016. This article was written by Megan Conley from Business2Community and was legally licensed through the NewsCred publisher network.